One can’t have too many Harleys! 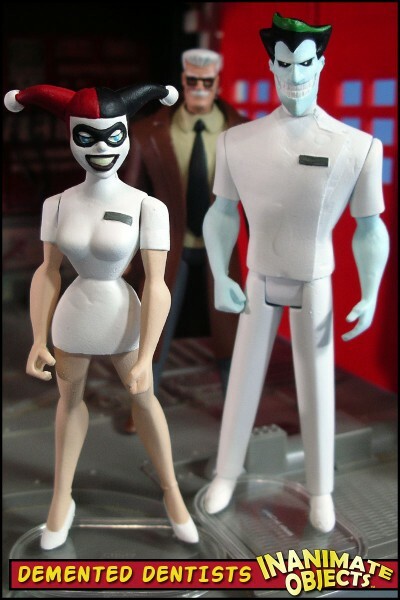 This one represents the opening scene of “Mad Love,” when Harley and Joker disguise themselves as dentists and kidnap Commissioner Gordon. The recipe here is fairly standard. Typical Mattel female body, with skirt and sleeves shaped from Magic Sculpt. Her head is the Hasbro version, repainted.